Aminur Rashid Chowdhury is a bright name in the field of education, culture, journalism and social activities of the Greater Sylhet region. Yet the people of the country's North East region feel the necessity of a man like him. The man, a pioneer in the literary and cultural arena of the region was remembered with due honor on 30 August, the 27th death anniversary of Chowdhury. He was born in Kokata in a respectable Muslim family from Sunamganj on 17 November, 1915. Their village home is in Durgapasha in Sunamganj. His father Abdur Rashid Chowdhury began his life as Extra Assistant Commissioner of Taxes and became a member of Assam assembly and then of the Indian assembly after the man left the government job in the British regime. Abdur Rashid Chowdhury also had a great contribution for the social advancement in those odd days. His mother Razia Rashid was from a Sunni family. She passed senior Cambridge from an institution in Calcutta. Chowdhury lost his mother at the age of 3 only as she was attacked with TB. Razia's classmate Elizabeth Bell, wife of a company manager Richard Bell took his responsibility that time. His schooling got started at the Calcutta Boys School under the guidance of the Bell family. As the British family had to wind up their Kolkata life, they wanted Chowdhury with them. But, he was taken back to Sylhet and got admission into the Raja GC High School in 1928. Passing matriculation from there, he was sent to Aligarh for higher study. Aminur Rashid got involved with freedom movement during his student life there. As the man joined revolutionary activities, he was put behind the bar for about 15 months during his education at the Aligarh University. In fact, it forced him out from the varsity. He got involved with the movement and came in touch with Netaji Subhash Bose. Aminur was highly impressed by the great leader Netaji and Mastarda Surya Sen. He was arrested on several occasions and suffered oppression at times for all these activities. Once he had a close link with Congress too. But, the man almost left politics after 1947. In addition to the political background, Chowdhury has a bright movement in the field of social, economic and philanthropic activities. The man had put sign of quality in the field of literature and journalism. The newspaper published by his father Abdur Rashid Chowdhury, was in fact named Jugabhery by Aminur Rashid in 1931. In 1961, he took over as the editor and owner of the regional newspaper till his last days. Also he had run and edited The Eastern Herald. The two newspapers really were the icons of this region those days. The Jugabhery in the 1970s was adjudged one of the best community newspapers in Asia. However, it is a daily now while Eastern Herald is no more. Aminur had a clear and vocal role for the cause of education and social advancement of this once backward region in many ways. For long Aminur Rashid Chowdhry served as President of the Kendrio Muslim Sahitya Sangsad, the regional organization of Sylhet, which had played a very laudable role at times including the language movement till date. 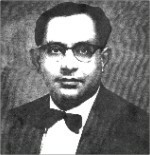 Chowdhury is one of the founder members of the Sangsad in 1936. Great personalities like Tagore, Nazrul and others had visited the institution and its rich library. Aminur Rashid's writings were printed by the monthly Al-Islah, Mohammadi, Desh, Joshtimodhu, Sandesh etc. An enlisted composer of songs of Sylhet Radio- Aminur Rashid Chowdhury has a publication of songs. Ganer Dali, a collection of 27 songs was published in 1967. Poet Sufia Kamal wrote the preface of the same. A strong pioneer of the newsmen of the region, he was also the founder-resident of the Sylhet Press Club. He shouldered the responsibility for long. As a member of government delegation from the Information ministry, Chowdhury had traveled countries at times. He also has a good contribution for the education in Sylhet region. He was one of those who came up for saving the Sylhet Mohila College. Chowdhury was a member of Madan Mohan College and Sylhet Mohila College for long. Chowdhury was also the founder president of Lions Club of Sylhet. Also Aminur Rashid Chowdhury was a successful tea planter. The man served as vice-chairman of Pakistan Tea association, forum of the tea garden owners. He became Vice Chairman of Bangladeshio Cha Sangsad. As a member of the official delegation from Pakistan, Chowdhury joined the meetings of ILO's Committee on workers on Plantation in Geneva. An amateur photographer, Chowdhury also worked as cameraman of films for sometime. He worked as cameraman for the film Muktisnan in late 30s. After a prolonged illness, the great personality died on 30th August of 1985 at the age of 70. The different organizations held programs to remember the great man on his 27th death anniversary.